NEW YORK, NEW YORK, UNITED STATES, July 30, 2018 /EINPresswire.com/ — SecuritySolutionsWatch.com:Thank you for joining us today, Howard. After 34 years at AMAG, Howard Johnson has seen a lot change: change at the company, change in the industry and change in technologies. In this interview, Howard takes a deep dive into these topics and shares his views. Before discussing AMAG in more detail, please tell us about your background. 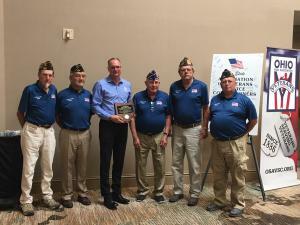 Howard Johnson: Beginning in 1984, I started as a technician working at customer installations in what we’d now call the Professional Services Department. I moved on and became a QA Test Engineer for the product line, which then consisted of primarily manual testing of Intruder Alarms before moving back to the technical side where I ran the technical support department. Next, I managed Product QA, then ran hardware development before moving to manufacturing and distribution. Eventually, I took over product development where I oversee all development and management of the Symmetry Security platform and a team of engineers. SecuritySolutionsWatch.com: AMAG is a well-established security management solution provider. What direction do you see AMAG heading? Howard Johnson: We are close to completing the transition from being a product-led business to a solutions-led business. The breadth and sophistication of the product set we have is becoming difficult for the traditional integrator to communicate to their user base. Increasingly, the product manufacturer needs to be involved in selling the solution to ensure the requirements are met and the value proposition is fully explained. Technology makes things simpler over time, but in the security industry, innovation branches off in different directions making it difficult for technology to make things simpler. Remember all those printer driver problems you used to have? No one ever thinks about that now; they just plug in and go. We are finding complementary markets for our products where integration opportunities are helping companies with different aspects of their businesses. For example, intrusion integration, fire integration, BMS, space management and heat and light are all part of security. Our Symmetry products can integrate with these solutions and help users meet compliance, mitigate risk and save money. Our long-term strategy remains the same: to be a long-term valued partner and provide continuous value to our customers. We are reinventing ourselves to provide a consultative approach so our customers know how to best use our Symmetry Security Management System. There are new challenges, technologies and propositions. It’s our job to help our customers learn how to use Symmetry to be more efficient. SecuritySolutionsWatch.com: How do you see Symmetry evolving to meet the demanding needs of your customers? Howard Johnson: One of the natural things for a product provider to do is to provide the complete solution. When you provide the complete solution, tech support is easier and the connectivity is more sophisticated because you understand the whole solution. We’ll continue to manufacture the whole solution. As we develop our products, we’ll have more flexible interfaces so integration becomes easier and easier. Our customers can start anywhere with Symmetry, whether it’s visitor management, video, access control and ultimately branch out from there. The difficulty is wanting to be all things to all people, but in essence that is what we have to achieve, from a solutions sense. Our product line is evolving to meet new market needs. We recently launched RISK360, an incident and case management platform. RISK360 lets users automate, investigate, analyze and document incidents so businesses can make informed decisions to operate efficiently, save money, mitigate risk and enforce compliance. This is a new market for us, yet it compliments the Symmetry System and provides another layer of security. SecuritySolutionsWatch.com: In your opinion, is there anything you can do as a company that can help your integrators succeed? Howard Johnson: I think the big conversation we don’t have with our dealers is, how do we work together to bring out our best skill sets? Quite often we see a dealer who just wants to see a serial process, which is product to provider to end user. We need to stand shoulder-to-shoulder when we go to the customer. It’s better for the dealer to do this, better for us AND better for the customer. We need to work more closely with our dealers to make them feel more comfortable that we have joint aims and objectives. We want a true partnership with all of our dealers. SecuritySolutionsWatch.com: What can AMAG learn from their integrators and end users? Howard Johnson: I think there is a difference between listening and hearing. We hold user group meetings often, but typically what happens is each person states what they want and we write down their ideas. While that is great, what would be more beneficial is if the room full of customers would cross-collaborate between themselves to work out what the real value is with the things they want us to do and not do. I think we can do more to help end users and dealers to work together. Our Security Engineering Symposiums and end user group sessions are good, but the process needs to deepen and mature. We will keep holding customer sessions, but will work to build relationships so our customers feel empowered to change our business if they are prepared to put the effort in to really think about what they want out of us and Symmetry. SecuritySolutionsWatch.com: Do you think AMAG is leading the way with any trends or technology? Howard Johnson: I think there is a big interest in Bluetooth right now, and we were one of the first to market with our Symmetry Blue Bluetooth reader. We are growing our Bluetooth product offering to provide several options. I think in our core product offering we are leading the industry. If you buy a product from us, the support is from us. We offer an all-in service approach. No more bills across the system, whether it’s our system or a system we integrate with. If you pay your Site Support Agreement, our responsibility is to understand the system enough to support it. There is nothing worse than getting hit with a bill you weren’t expecting. (We see that enough in our daily lives.) From a product manufacturer’s point of view, most product manufacturers sell third-party products because people like to buy it that way, but the real trick is to be able to provide support for the things that you sell. Our products allow for backward compatibility with previous technologies so customers can upgrade technology with minimal investment. SecuritySolutionsWatch.com: Have the additions of the Symmetry GUEST Visitor Management and Symmetry CONNECT Identity and Access Management solutions changed your customer’s perception of AMAG? Howard Johnson: I think we’ve disrupted people’s views of AMAG. We have an old identity and a new identity, and while they are both valuable, we’ve disrupted by adding cloud-based visitor and identity and access management solutions to our product line-up and our customers are starting to understand we offer solutions beyond access control. We explain the new identity–that we offer a unified solution– and the new strategy. We are growing as a business. In one or two years, people will be more comfortable. We are keeping our core values, processes and commitments to support our products and product development. It’s all there. It just comes in a new, shinier, expanded package. SecuritySolutionsWatch.com: What impact could Symmetry GUEST and Symmetry CONNECT have on your customers? Howard Johnson: For our dealers, GUEST is a tremendous opportunity for them to take to any customer. It gives them a new and exciting business model where they don’t have to sell installation hours to put a card reader on a wall. They can sell a customer a proposition, and receive revenue for the long-term for that proposition that they’ve sold them. For end users, GUEST is a simple, powerful, easy-to-use subscription service for managing visitors. It helps them start to understand AMAG as a business and see what else we have to offer. Symmetry CONNECT is an enterprise space product and needs a different approach. CONNECT manages the different identities that enter a building and streamlines processes to help companies become more efficient. CONNECT helps regulated industries such as financial services, electrical power, healthcare and oil and gas maintain compliance. Its robust reporting delivers standard options needed to meet compliance and custom reports satisfy PCI, SOX, HIPAA, NERC CIP and other audit and compliance demands. It works well with GUEST, because customers won’t buy CONNECT unless they were already working with AMAG in the first place. You become so entwined in the business processes that you have a huge amount of trust with the supplier. 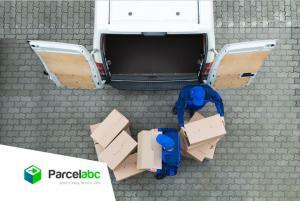 For our dealer base, all of our solutions allow them to stay with us. They don’t have to take ownership of the integration because it’s from one company – us. We have much greater breadth and depth for those integrators and end users who want to have one valued partner they work with. We are happy to provide commercial terms for long term support and with one fixed fee so there are no more bills for the customer. 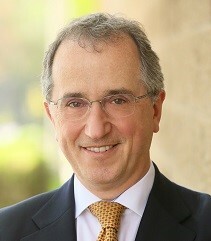 SecuritySolutionsWatch.com: Thank you, Howard. Is there anything else you would like to add? Howard Johnson: One of our missions as a company is to make the end user’s life easier. We develop solutions to help our customers operate efficiently, reduce costs and meet compliance, which essentially are the three reasons companies are compelled to make changes in their security systems. To do that, we want to become a trusted advisor. Technology makes life easier, but with new technology comes more complex infrastructure and therefore a close partnership with IT is required. We want to work together with our integrator and end user to help them figure out their data and how to use it to streamline business, automate processes and reduce costs. If we can do that, everyone will be successful. AMAG Technology’s Symmetry™ Security Management Solutions are deployed across a wide variety of market segments from commercial to government, education, healthcare, banking, transportation, utilities, plus many more. Headquartered in Torrance, California with sales and support located throughout the Americas, EMEA, APAC and LATAM, AMAG provides customers with industry leading unified security solutions. 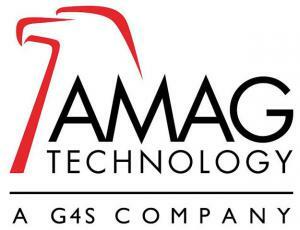 AMAG Technology is part of G4S plc, the world’s leading global integrated security company which has operations on six continents and 585,000 employees. 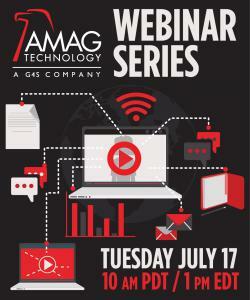 As the industry leader, AMAG focuses on delivering the latest technology to meet market needs. JAKARTA, JAVA, INDONESIA, July 29, 2018 /EINPresswire.com/ — With a population of 266 million Indonesia is the 4th largest country in the world. Its GDP of US$262b in the first quarter of 2018 makes Indonesia the largest economy in South East Asia. According to the World Bank Indonesia has significantly improved its ranking in the Ease of Doing Business (EODB) index for 2018 and has climbed 19 places to 72 from its previous rank of 91. Indonesia is the largest country in the world in terms of tuna landings and it is in the world's top three producers of shrimp. However domestic production is currently insufficient to sustain its canneries. 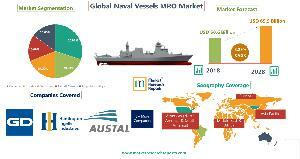 It is the 6th largest producer of canned tuna. As a result Indonesia continues to import tuna and many other kinds of fish especially crustaceans and imported 195,296 MT in 2017. In an effort to boost its local fishing industry Indonesia has been investing heavily and has taken stern action against Illegal Unreported and Unregulated fishing. Against this background and in order to regulate the import of fish products used as industrial raw materials and to improve national competitiveness, the Ministry of Trade of the Republic of Indonesia has published a new Regulation No: 66 of 2018. The import of the regulated fish products is allowed only by importers with API-P (Producer) and API-U (General) licences issued by the Minister. An English translation of the Regulation may be downloaded from the URL shown below. Applications to import fish products will be approved only if the importer holding an API-P licence can show evidence of cold storage, refrigerated transport and a recommendation from the Minister of Industry whereas holders of API-U licences must submit a distribution plan. The import approvals are valid for 1 year. For goods that are already packaged a label in Bahasa Indonesia and English must show the commercial name of the goods as well as the scientific name, the net weight and name and address of importer and exporter. 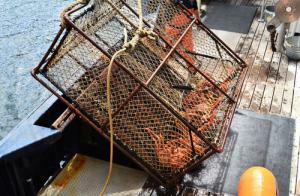 For fish that are not packaged the same information must be shown on a proforma invoice or packing list. The exporter should also produce a Certificate of Fish Health or a Fish Processing Products Certificate signed by an authorised officer or competent authority in the country of origin. All such imports of fish products are subject to technical verification or survey in the country of supply by a surveyor appointed by the Ministry of Trade. Information concerning the scope of the survey and appointed surveyors may be obtained by importers from KSO Sucofindo – Surveyor Indonesia. 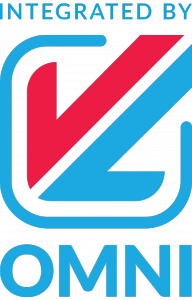 OAKVILLE, ONTARIO, CANADA, July 26, 2018 /EINPresswire.com/ — VL OMNI, a top point-to-multipoint omnichannel data integration platform provider serving scaling merchants, today announced its partnership with ShipStation, the leading web-based e-commerce shipping solution. The partnership between ShipStation and VL OMNI will extend the reach of ShipStation’s platform to more applications through the VL OMNI platform, broadening merchants’ range of applications that can be integrated to achieve seamless data movement. This new partnership extends ShipStation’s and VL OMNI’s platforms to give merchants the ability to match data movements with their strategies and business rules, allowing for more complex integrations between ShipStation and a host of other applications. ShipStation users on the VL OMNI platform will also benefit from the scalability and elastic nature of the VL OMNI platform. VL OMNI will be able to move ShipStation data seamlessly through etailers’ growing infrastructure to expand and accelerate business. Accelerate Growth with VL OMNI: Your trusted SAAS platform for real-time, agile and scalable iPaaS data integration. Trusted by over 200+ growing Merchants. VL OMNI’s integrations work by strategically connecting applications together, normalizing the data between them and applying your business rules directly to the data transformation. Integrate with countless applications such as ERP systems, Warehouse Management, Email Marketing Platforms and more, and track your data from all sources in our unified platform. LONDON, UK, July 26, 2018 /EINPresswire.com/ — In an industry facing significant skill shortages many organizations are ready to take a fresh approach to recruiting and retaining women in the shipping workplace. According to Lee Clarke at Dynama, the first place to start is establishing an accurate gender profile of your organization using workforce management technology. Of the estimated 1.25 million seafarers in the world, fewer than 2% of them are thought to be women[i]. For example, in the UK the maritime minister Nusrat Ghani MP – who herself is only the second woman to hold the UK Department for Transport portfolio for the country’s maritime sector – has praised the establishment of the ‘Women in Maritime Taskforce’. Set up by Maritime UK, the organization aims to identify practical steps to recruit and retain more women, particularly those in mid or senior positions across maritime’s shipping, ports, marine and business services industries. It also seeks to address critical areas such as career progression paths for women in the sector and any gender pay gap. Dynama’s parent company Allocate Software has pledged to have 50% of women on their payroll by 2022 and Dynama is following their lead. But where to start? How do you know how many women you already employ? How do you recruit more and how do you support and retain women in the any industry? • Establish a benchmark – the first step to creating change is to understand the current state of diversity across your organization and this comes down to the quality of data held. The beauty of modern integrated WFM systems is, that unlike manual spreadsheets, they link seamlessly with critical HR databases to provide a realistic perspective of employees across an organization. They capture a real-time view of maritime staff, including personal details such as gender, age, career and pay history, past roles and activities including projects worked on and where. This makes it easy to analyse the gender profile of an organization and to continually track any gaps in specific jobs or at different management levels and match skills to jobs available. • Use data to support recruitment drives – organizations want the best people for the job, whether they are male or female. But maybe they are missing out on good quality candidates from 50% of the population? Recruitment campaigns should emphasise the benefits that will appeal to all candidates but focus on those of particular interest to women, for example, flexible working practices, transparent pay structures, opportunities for sabbaticals, maternity leave and excellent career paths. Once you have attracted the best talent regardless of gender, then data can help to keep them in post and stop them from straying to the competition. For example, by focussing on relevant and tailored e-training programmes and allowing people to learn at a time and place that best suits them it will help with balancing the demands of work and family life. Maritime contracts and working conditions can be very restrictive, with shared accommodation affecting the quality of rest and long periods away that need to be balanced with time spent at home. Phasing out shared facilities and being more flexible over periods of time at sea can ease this, improving crew wellbeing and family life. Long hours expected of seafarers should also be balanced and managed sufficiently so that the crew receive the necessary rest, helping to reduce worker fatigue and stress. • The power of mentoring – one of the common challenges for women in many sectors is building confidence to be assertive in a male-dominated work environment. Why not use data held in your WFM system to identify experienced female staff who can become mentors to new female joiners? Or set up an online support and networking forum and invite all staff, male and female to participate? 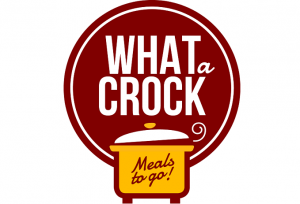 That way, they can share their experiences and exchange hints and tips to build confidence and maximise their skills. Involving all colleagues in sessions will foster a greater understanding and better collaboration between the sexes. • Future-proof your workforce – the latest automated solutions are powerful workforce planning tools. They are innovative, highly scalable and future-proof. They are sophisticated enough to analyse current staff availability and competencies and plan for future requirements quickly and efficiently. When deploying a WFM framework, organizations should consider including important parameters into their ‘what if’ scenarios such as time for maternity and paternity leave and the flexibility to accommodate career breaks or role changes for working parents. For those organizations looking to attract, recruit, develop, support and retain a more diversified workforce a WFM framework is a good place to start. It can help to build a diversity profile with the hard evidence to drive effective recruitment campaigns and support talent management and succession planning to build a modern 21st century workforce. WENZHOU, ZHEJIANG, CHINA, July 25, 2018 /EINPresswire.com/ — Central locking casters wheels are casters with a central brake system that allow users to operate the brake system easily and quickly, by just 1 person,They are widely used as ICU bed casters,hospital bed casters,emergency stretcher casters. 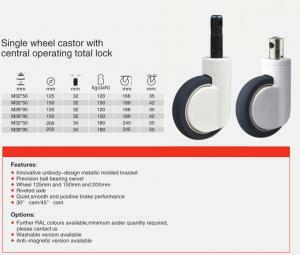 Xinchen Caster Wheels Company now develops two types of central lock casters. 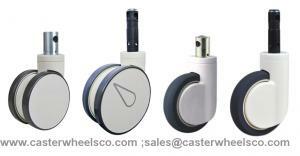 For 5 inch central locking casters,and 6 inch central brake casters usually used as on hospital bed casters, medical trolley casters. 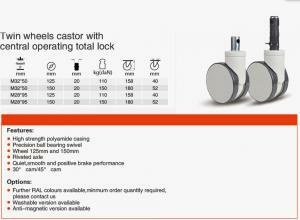 We are looking for long term cooperation partner,we offer very competitive price with stable high quality central locking casters for you.Surely if you need we can provide sample for testing and it's very needful. For more question please contact us freely. We will reply within 24 hours.